Only the beginning is hard because rest all depends on the dedication and passion that you put into it. Back to 2007 with the introduction of iPhone, a parallel industry emerged in the form of iPhone App Development. Today, the child is bigger than its parent. It states that when the iPhone was first launched in 2007 it acquired 1.32 million users. But now in 2017, the iOS App Stores had made 3.32 million, the thrice of the figure, that the iPhone made with its very first product. Hence, it is quite clear that the iOS App Store can be said as the money-making machine for Apple. 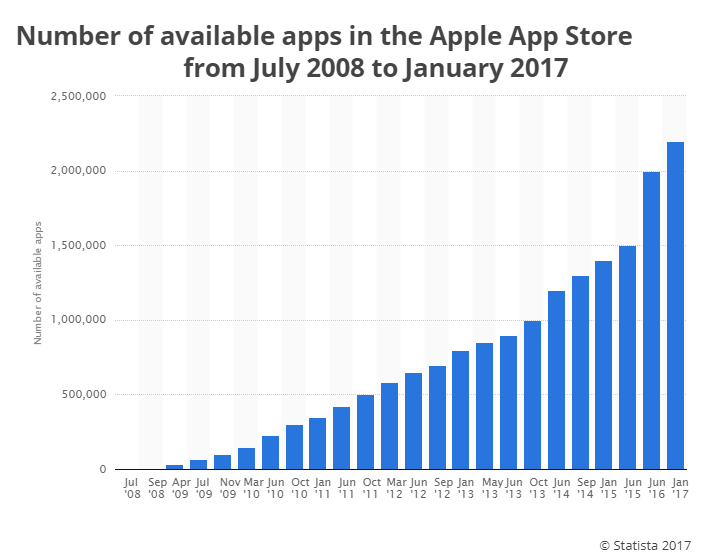 But before revealing the number of existing iOS apps, let me first tell you the density of the user population that it has acquired over the years, along with the model that it launched. Starting from the beginning, the first device that was launched by the Apple was called as iPhone, launched on 29 June 2007. Initially, it captured the user rate of around 1.39 million that increased to 11.63 million users, when the Apple launched iPhone 3G on July 11, 2008. In the further consecutive years, it launched the iPhone 3GS, iPhone 4, iPhone 4s, iPhone 5, iPhone 5s and 5c, till 2013. From the aforementioned models, it conserved the user base of around 150.26 million. The major evolution that took place was in 2014 when it hit the market with iPhone 6 and iPhone 6s in 2014. Both of these devices were totally a hit and it elevated the graph of iPhone users to a huge extent. Till the end of 2016, when it launched iPhone 7 & 7 plus in 2017, it was already ruling the hearts of 211.68 million users. 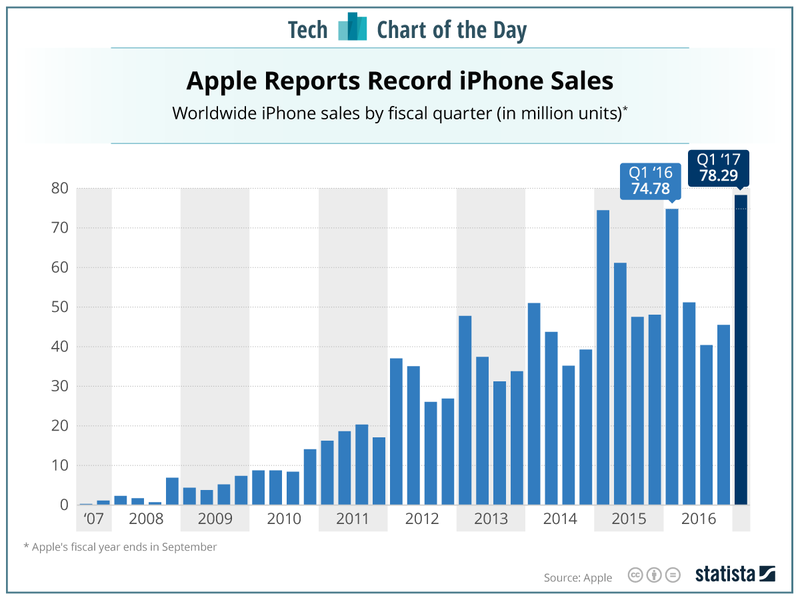 Its growth has again boomed with the iPhone X, iPhone 8 and iPhone 8s. It has been forecasted that the number of users will be eventually increasing to 1 billion, till the end of the year as stated by Fortune. According to a report, there are 700 million users of iPhone and the figures are increasing blindly. One of the major reasons being that make the iPhone hit is that way that it implements technology and its App Store that provides the users will all the facilities to accomplish the tasks. Right from iOS 1 to iOS 11, it has breathed technology, embedded it in the right way and delivered it in the way its users want. Right from converting the display into the OLED surface, automated voice detection till ARkit, it is always being the only tech –giant to make innovation in every way possible. Making technology as its one of the major partner it has implemented it, as soon as the users start imagining on their iPhones. Initially, it was the first phone that came up with a good camera, face time, Siri, payment wallets and now it has embarked with AR and NFC. Introduced by the Apple in 2008, there are around 2.2 million Apps on the App Store and it is undeniably making huge revenues for Apple. Do you know the amount that the App Store had made for the Apple till 2016? Well, it is $237.6 billion. Quite huge, yes it is and some of us might not believe it but it’s true. Initially, when the App Store was launched, Steve Jobs said that “I will not allow any third party to add its App on my beloved device” but the revolution that App Store made, made him think of his own statement. In 2008, it had 800 apps on its surface and now it is having 2,200,000 Apps. The growth rate and its aforementioned success rates might have left you all spellbound but yes, this is the success that it has achieved in its journey of 10 years. The Apple Store contains the entire App that you want. Right from the Social apps to travel apps, business apps to productive apps, entertainment apps to management apps, they are all covered on the App Store. Since it is clear, that the App Store is being flooded with a huge number of iOS mobile apps, hence the businesses are using it for making themselves flourish. So, not only Apple is making money with it, entrepreneurs are on the verge of publishing their app on the App Store. Let me tell you the major industrial domains that are using iOS Mobile App Development as their major tool for making themselves established. The gaming industry can undeniably reap out the maximum benefits from the iOS app development. Reason being, it offers more animated features, captivating user interface, generates less heat and delivers a seamless gaming experience. There are certain solutions that are provided by the Apple to enable the developers to develop fabulous features, thus adding a lot of scope in the iOS mobile games app industry. Metal: It supports powerful graphics and uses your computer potential at its best for during the paying sessions. It works excellently for the tvOS apps and provides you with an enriched experience. Scenekit: A feature-packed framework that allows you to create 3D animated scenes and effects using the geometric lines, visuals, and cameras. Game Center: Game center is the Apple social gaming network that allows you to track the best scores, and supports the multiplayer games so as to make gaming more interesting and engaging. Apple is on the verge of adding a few more solutions for this industry and is planning to launch the games that can be played in the real time. Anki Drive, the new game that will be made available for its users on the October 23, allows users to race the cars with the free iOS apps in the real world. One of the major social apps that work only on your iPhone is Facetime that allows you to video chat with your loved ones. The social media industry is a big hit in the today’s tech world and Apple, leveraging all the requirements for making the apps more polished and elegant. Face detection and tracking: It is great for sharing images. You can put any object on the pictures in the real time. The feature lets you track facial features, thus helping you initiate with interesting conversations. Security: Apple provides you with the encrypted code and makes It strictly abandons your device to connect to the third party over the networks available, thus making your conversation secured and authenticated. New Emojis: With the iOS 11 it has added more of them that are unique and versatile enough for making your chats more engrossing. This is the major industry that has been modified by Apple. With iOS 11, it is covering very interesting features that can augment both the quality and operability of your travel apps. So, if you are traveling, and want to get the information about that particular historical monument, all you need to point your phone’s camera at the monument and it will display all the related information about that place. Thus saves your time to a great extent. This feature helps you to find out the shortest route. In case you are developing a travel app for your consumers, you can help them to find the optimized routes, within the app while traveling. Covering iPhone devices to Mac and Smartwatches to tvOS, Apple is continuously introducing the new features for the developer communities and to the major industrial verticals to attract the huge clientele. The peripherals of the Apple is not only limited to the above industrial verticals, as there are even more such as health, retail etc that are quite impacted by its versatile features. Apple Smartwatches and tvOS apps are making the major differences in the App industry. The App developments for these solutions have gained a major momentum. Apps resonating with the smartwatch and tvOS are helping the users to track down all the information instantaneously. The aforementioned solutions make it easier to enjoy live streaming, gaining fitness and health details, tracking business-related activities etc, thus modernizing the users’ lives in the every way possible. Features such aBarcodede recognition, drag-and-drop option, automated Siri can help all the concerned business sectors to evolve in the way they never had. So just hit with the right technology and in the right direction so as to acquire the goals with the correct revenue figures. iOS Mobile App Development is one of the most dominant and prominent revolutions, in the history of App industry. Businesses are adopting the idea for making their business flourish with the help of the mobile apps. According to the survey conducted by Morgan Stanley, 92% of the iPhone users will stick to the Apple in the next coming years. Hence for increasing the business visibility, iOS app development paves the right path to engage huge consumer base. Apple is very stringent with its security policies and when comes to business, it plays a major role. Whether in the context of transactions or sharing of any information, it provides you with the perfect software to save all your business and client related data. Since the Apple is sharing the huge user ratio across worldwide, you can scale your business as and when required. 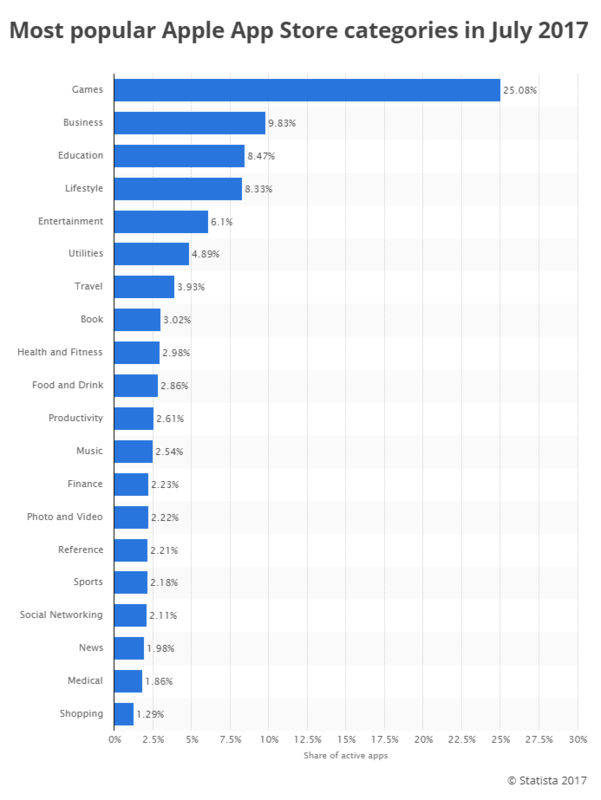 According to the report by Statista, US has 90.1 million users, followed by the India on second with 70 million users, Europe on third with 68.79 users and Germany on third with 49 million users. Hence with the help of iOS mobile apps, you can take your businesses anywhere in the world. Apple adds to your brand recognition as well, since it is being known as one of the royal product, hence you target the right audience with your iOS mobile apps. The App store gives you the acknowledgment on the constant basis of your app updates, downloads and user reviews. Thus helps your businesses to grow to a great extent. This is how the Apple started its journey and now is not only dominating with its iPhone but with the iOS app development as well. One at the same time it is coming with the new devices and is targeting the developer community with the iOS versions to develop more revolutionary iOS mobile apps. Undeniably it has covered the journey whole of 10 tears and, by now, Apple knows what its users want, it just the serves them in the right way- the only Mantra of Apple. The above points clearly show the advantages of investing in iPhone App Development.